Most gas furnace problems can be narrowed down to a specific set of device problems by determining when the problem occurs in the furnace ignition cycle. All furnaces built in the last decade have ignition control boards or circuit boards that control the safety and operation of the furnace. Several manufacturers make such boards that are common on all major furnace brands. 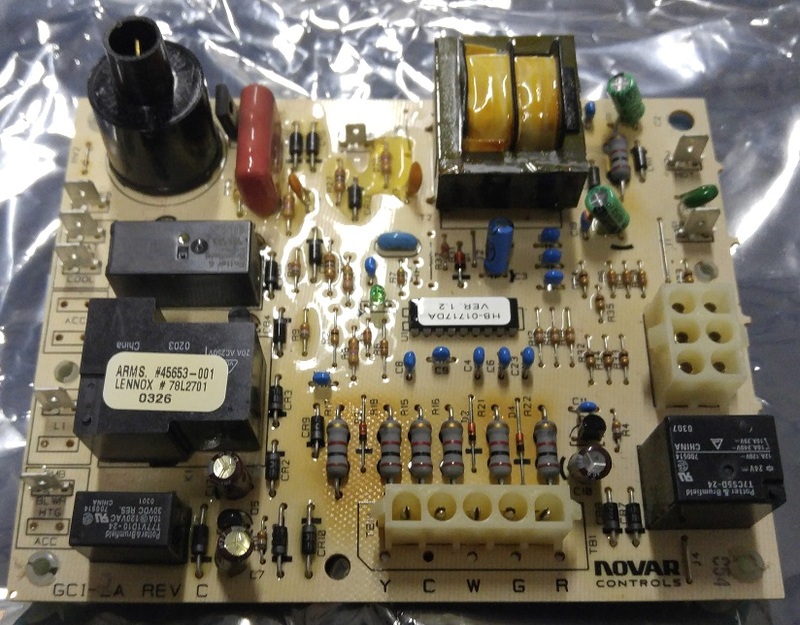 Of those most commonly found are Honeywell and White-Rogers boards. These boards come with a diagnostic LED lamp that in most cases will identify the sensor that triggered the furnace to shut down. Based on the LED signal and the timing of the shut down, most of the time, the problem can be identified. Lets take a look at the furnace ignition cycle. The cycle is made up of several steps that are designed to ensure your safety when it comes to carbon monoxide poisoning and fire hazard reduction. Each step is sequenced such that the prerequisite events happen before the furnace ignites or becomes hazardous for fire or carbon monoxide poisoning. This step is common but not always readily seen or hear. The board is checking to see that the pressure switch has returned to its default off position and tells the computer that the pressure switch is ready. If the pressure switch is closed, then the LED will indicate a limit closed condition. The circuit board will next turn on the induced draft motor to be sure that the fumes are being exhausted from the furnace and from the home. There are two types of sensors used to check if the motor is running. First is the pressure switch mentioned in step 1. Now the board checks to see that the induced draft motor has generated enough pressure change to close the pressure switch. If the switch does not close for various reasons (dirt, bad motor, blocked flue), then the computer will stop the ignition cycle and try again. The other type of sensor is a rotation sensor mounted on the draft motor shaft. If the sensor does not detect the shaft spinning properly, then it will stop the ignition cycle. The next step does not have a sensor to check. The computer will just send a signal to the ignition source, whether it be a hot surface igniter, an intermittent pilot, or an electronic spark system. These devices will engage for approximately 10-15 seconds depending on the device while the computer goes on to the next step. The computer next opens the gas valve after waiting a few seconds for the ignition source to start. Again this step is not directly checked but is followed y a sensor check that can determine if the gas actually ignited. This step checks an electronic signal from the flame sensor. If the flame sensor is in the burner flame, a minute DC current is generated and that current is detected by the circuit board. If the board does not detect the current within 2 seconds of the gas valve opening, the valve is closed and the system shuts down. The board will allow three initiation attempts before it goes into a lock-out state. I mention this is a continuous check because if for any reason the burners are blown out or just don’t burn right due to dirty burner frames, then the system shuts down to prevent a gas leak. Roll Out Switches or limit switches are devices to check that there are no holes in the heat exchanger. A hole in the heat exchanger can result in air blowing backward through the burners causing the flames to reverse and burn outside the burner cavities. This is a fire hazard. These switches remain closed when properly operating but in the presence of a flame will break and cause a loss of signal at the computer. These switches generally do not reset themselves and must be examined by a professional due to the danger. After all the checks pass their inspection, and the flame has been going for a brief period of time to warm up the heat exchanger, the blower fan is turned on. This is typically between 15 and 30 seconds after the flame has started. The circuit board finally checks to see if the blower is working properly. this is an indirect check and is checked continuously through the heating cycle. How the computer knows that the fan is running correctly is that it checks the high limit switch. If the switch gets over a design temperature it will open and signal to the computer the furnace has exceeded the designed high temperature limit. This switch does reset itself after it cools because it can be triggered by dirty filters or other issues that are not a gas safety issue. It will turn off the furnace if the fan does not come on 30 seconds after flame ignition. It is possible to find out the source of a furnace problem using the furnace ignition cycle and eliminating all the non-related possibilities before calling your HVAC repairman. It is also obvious that there are many different scenarios that can shut off a furnace or prevent it from starting. these checks and steps are all for your family’s safety. What is the Best Furnace Filter?